Allied Industrial Products Ltd : Established in Manchester over thirty years ago (1986) before relocating to new premises at Salford Quays in 2002. Over the years AIP has gained a vast knowledge and experience of providing a wide range of fastners and fixings to the industrial sector including water, oil, chemical,building and engineering. AIP understand the operational pressures and priorities that come with running a manufacturing or product line, and are aware of the importance of delivery of quality products on time, every time. In recent years we have developed a partnership with a manufactoring company who specialise in stainless steel and exotic alloys, bar turned and hot forged to customers requirements / drawings. All test certification is provided where applicable. We Strive to improve where ever we can, ensuring a high level of service to meet your demands. 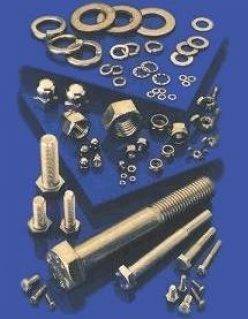 Our aim is to supply high quality fasteners on time anywhere in the U.K.